MOSCOW, January 13. /TASS/. A prominent leader of the Syrian opposition, the head of the Syria’s Tomorrow Movement Ahmad Jarba, said he was ready to head to Damascus for talks with the Syrian governemnt, the Al Mayadeen TV has reported. According to the channel’s information, Jarba, who is an influential tribe leader in eastern Syria, came forward with the initiative while in the Iraqi capital Baghdad. He said he expected the Iraqi government’s assistance in establishing a dialogue with the Syrian authorities. Jarba supports Arab tribe militiamen, who fight alongside Kurdish groups within the Syrian Democratic Forces movement against the Islamic State terrorist group (outlawed in Russia). The initiative that he plans to suggest to the Syrian government envisages the creation of tribal groups to protect the border with Iraq following the withdrawal of US military forces from Syria. 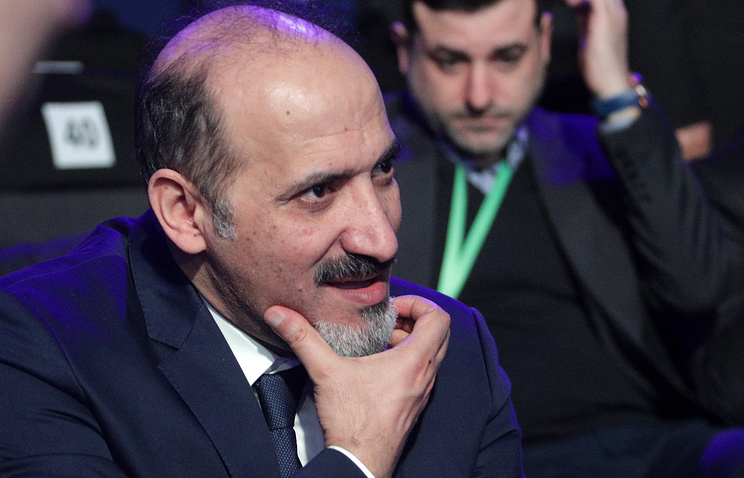 In January 2014, Jarba, who headed the National Coalition for Syrian Revolutionary and Opposition Forces at that period, was among the organizers of the first round of intra-Syrian talks in Geneva. Later, he supported the idea of holding the Congress of the Syrian National Dialogue, which took place in Russia’s Black Sea resort city of Sochi on January 30-31, 2018. Hey Buddy!, I found this information for you: "Syrian opposition leader Ahmad Jarba ready to head to Damascus for talks". Here is the website link: https://russophile.org/syrian-opposition-leader-ahmad-jarba-ready-to-head-to-damascus-for-talks/. Thank you.